Stylage M is another dermal filler from Vivacy. 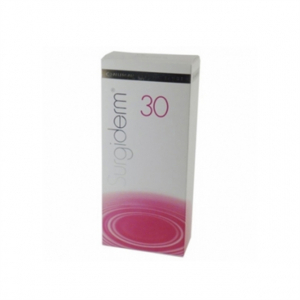 It is designed to improve the appearance of moderate wrinkles as well as severe wrinkles too in the mid dermis. Use Stylage M for filling for medium to deep nasolabial folds. Smoothing of wrinkled and marionette lines and correcting cheek wrinkles. Fining hollow temple area and nasal hump reduction are other objectives of Stylage M too. It can also be used for rejuvenation of hand and regenerating loss volume after the treatment. Botox has been a product which has long since been used for reducing fine lines and wrinkles and helps preventing any new wrinkles from forming as well. The product freezes the muscles under the skin to achieve its purpose. The main complaint with Botox is that it causes great pain and, in severe circumstances, also cause bruising. If you are looking to get rid of the wrinkles and fine lines and achieve younger looking skin, dermal filler products from Stylage are the best option to choose. Stylage has it’s own patented technology of its hyaluronic acid cross-linking process which is used to produce fail-safe products for aesthetic and medical uses. The advantage with hyaluronic acid is that it since it is naturally found in bodies, it does not freeze the muscles of the skin. Rather it helps to replenish the bodies’ natural source of hyaluronic acid and causes natural plumping and moisturizing action. Stylage’s IPN technology helps specialize in this field and has a viscous and elastic property and tissue biocompatibility. Stylage products are designed for all types of skin. The viscosity, as well as elasticity of the injection gel, is optimized according to the targeted dermal layer which is why the products are extremely long lasting as compared to Botox treatments. Stylage currently offers four types of dermal fillers for the face. Skin Hydration and Revitalization with Stylage Hydro and Hydromax. The Hydro product is perfect for use for moderate dehydration of the skin. It further helps improve the elasticity of the skin and rejuvenates the face, neck, neckline and hands. The Hydromax also includes these features except that it is used for the treatment of intense dehydration. Facial Remodeling and Volume Restoration. Stylage products for this problem come in two volume: XL and XXL. 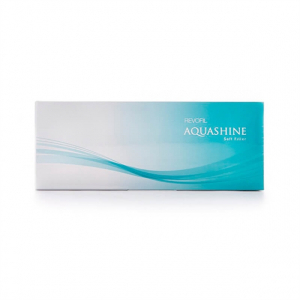 This product has the power to restore volume to the face as well as restoring facial contours to make it look fresher. It focuses greatly on cheekbone enhancement. Moreover, as these products are specifically used to increase the volume of the face, they also help with treating facial ptosis (skin sagging). Lip Correction and Enhancement. Because of the demand for lip fillers, Stylage offers safe lip correction products which help to enhance lip volume, correct and define the contour of the lips, corrects disproportionate sizes of the lips and gets rid of perioral and smoker’s lines above the upper lip. Filling and Smoothing Wrinkles. This product is, perhaps, quite high in demand ever since the disadvantages of Botox came to light. For correcting fine lines and wrinkles, this product helps with treating tear trough area under the eye, perioral lines, crow’s feet, frown lines, etc. Reshaping for facial areas such as the ear lobe, nose tip, cheek wrinkles, marionette lines, the hollow temple area is also quite possible with this product. 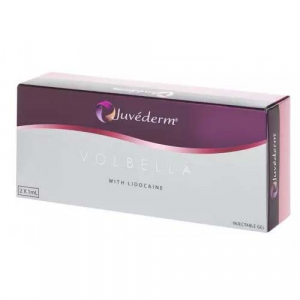 Rejuvenation and enhancement of volume is also a plus with this product. Stylage products are available in Latvia, Kazakhstan, Kyrgyzstan and other places!